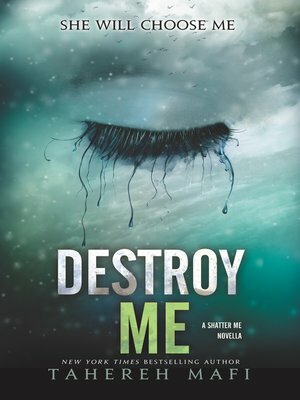 Set after Tahereh Mafi's Shatter Me and before Unravel Me, Destroy Me is a novella told from the perspective of Warner, the ruthless leader of Sector 45. Even though Juliette shot him in order to escape, Warner can't stop thinking about her—and he'll do anything to get her back. But when the Supreme Commander of The Reestablishment arrives, he has much different plans for Juliette. Plans Warner cannot allow.